FEI WU: Welcome back to the feisworld podcast this is episode number 11. It's a new milestone for me and this is part 2 with MICHAEL O’MALLEY. In part 1, if you haven’t listened to it, I highly recommend that you do so. in that episode we talked about the first defining competition for Mr. O'Malley's career as a US team member, as a captain and really going back to when he was a young boy and what it's like to train 10 to 12 hours a day and what it the process to be selected for the US team and Mr. O'Malley really relates to his experience in Taekwondo competitions of the highest caliber and also shares the relationships he formed with his teammates. In this episode you actually learn about the Taekwondo school Mr. O'Malley founded where he continues his teaching as the principal instructor today. I myself, I'm still benefiting from the training and I very much look forward to my practice multiple times a week. 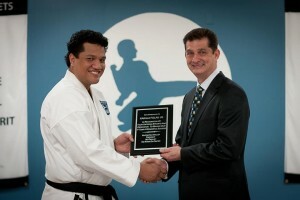 So let me tell you a few things about O'Malley Tae Kwon Do Center. 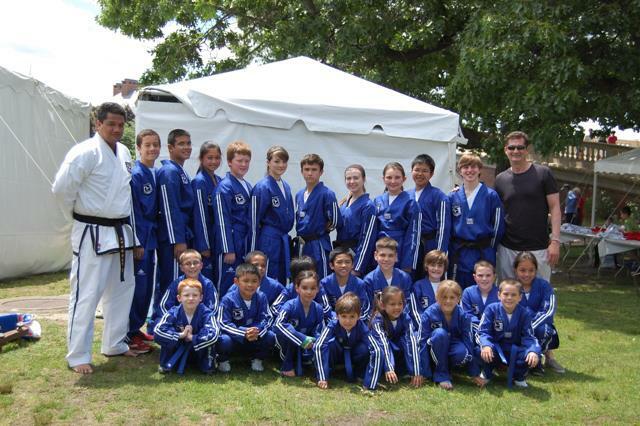 It teaches traditional martial art and practical self defense for men, women and children. The program is an individualized and comprehensive approach to helping students achieve their finish level. So in other words instead of only focusing on student's strength, Mr. O'Malley actually helps overcome his or her unique challenges. 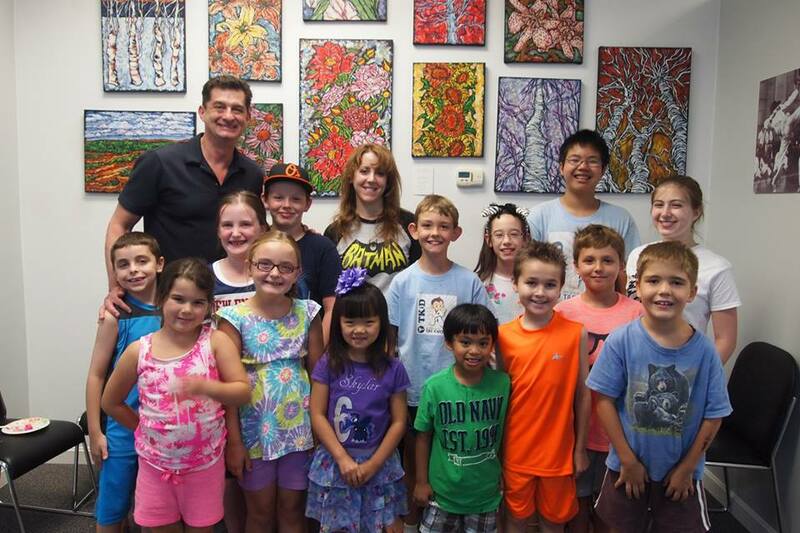 Mr. O'Malley created a unique program to teach children and adults how to be confident and powerful on the inside and out. In addition to taekwondo hand and kicking techniques, O'Malley has made self-defense module a requirement for all of us. During day and summer camps at the center, O'Malley creates workshops for young campers to practice power poses, learn extensive self-protection strategy and participate in anti-bully programs conducted by police officers. I also want to mention that beyond taekwondo practice, O'Malley has introduced a line of extraordinary people who teach his students in a variety of subjects and skills. So without further a due, I'm sure you're eager to learn all about O'Malley's school and here he comes, Michael O'Malley. FEI WU: What you do today, I think when we start talking about education, overcoming fear, you started a school about over three and a half years ago here in Peabody, Massachusetts. Now this is about--I don’t know exactly but perhaps 15-20 miles from downtown Boston and you opened up this wonderful school that many of your students from 20, 30, 40 years ago are still following you to this location regardless of the distance to their homes. So do you mind giving us an overview of this so my audience kind of hear that from you what the school is about and you know the type of members and perhaps some of them are interested in meeting you in person considering your instruction on how do they find you. MICHAEL O’MALLEY: As you said, we opened up about three and a half years ago. Of course you know I've been teaching taekwondo for over 40 years now and I've trained anyone from a 4-year old child to an 85 year old woman to Olympic athletes. The type of system that I develop that may you know somewhat surprising because we've been just talking about competition stuff for a while here is I really don’t teach it in terms of competition at all. So in effect I'm teaching more the traditional based system the original approach that was created by General Choi and the original approach that we utilized in Boston during the early 70's with emphasis on practical no-nonsense techniques and of course you know practical self-defense, self-protection skills as we like to call it with this original balanced approach that is utilizing your hands and your feet as opposed you being one dimensional. You are using what's best with emphasis on power and speed and precision. FEI WU: The school opens seven days a week. I know it's hard for most people to imagine how much work that it's involved. Not only that unlike many other schools that I have--I'm not as familiar with but knowing their names or schedule that you've implemented a very aggressive schedule the school has over 40 classes, 35 to 40 classes a week targeting different levels. So why is that approach which basically an institution, it's a center that opens all day? MICHAEL O’MALLEY: Well there're two reasons. One is of course I wanted to make it convenient for people to come and so the seven-day a week routine does just that, enables members to come and fit it into their schedule. Of course up here I have a lot of children as well and parents are working. Up here is a blue-collar area so you got very often two parents working. So we have classes basically from 3:30pm until 9 o'clock at night, it's continuous classes. So it gives them a chance to come in when it's convenient and then what it also does is for people that really develop a strong passion for it much like what I did and others that I was associated with at the Boston school. It gives people a chance to really pursue, developing their taekwondo skills in a much faster broader fashion as opposed to them being only able to come in a couple of days a week at prearranged times that most schools have the scheduled set up. It is very labor intensive to run the school in that way but I think the main thing is I really find a lot of joy and passion in doing what I do and it hasn’t changed. I mean I feel as passionate today as I did when I first walked into the school as a 14 year old and started my first class and I find a lot of joy in teaching even just this very simplest movements the most rudimentary steps to a 5 year old white-belt kid or a 40 year old executive, you know? MICHAEL O’MALLEY: So while that passion is still there for me, I don’t see myself doing anything else. It's a circle of love and I decided that if we're going to be open then we should just be open to the community as often as we can and that'll give people a chance to work out as frequently as they want and you know the cream will rise to the top and then you'll have those others that wanted to just practice two or three times a week at their pace and that's quite alright too. MICHAEL O’MALLEY: We're not looking to train Olympic athletes, we're just trying to improve people's lives. FEI WU: And I completely echo that feedback as personally as a practitioner of taekwondo for nearly 14 years now. time really flies and I remember after practicing taekwondo for about five years, four or five years after getting my first degree black belt, I didn’t feel a sense arrogance. Obviously there are black belts in the community as well but I did feel part of myself slowing down and that somehow changed very drastically when you came to the school when I was able to learn from you then all of a sudden all techniques including the very basic ones were improving so drastically. I feel like part of me was relearning taekwondo on a whole new level. So I think while your passion is still here, I would highly encourage people at every age level, men or women adult or children to consider this fantastic opportunity because I think it's really--it's a privilege if were the North Shore Massachusetts community to have someone like you and to be able to learn from you directly. MICHAEL O’MALLEY: And one of the things I found is I also--you maybe surprised to hear it too I mean I have that passion but I also had to reinvent myself in some ways as an instructor because when I was teaching in this other locations in Boston and in Cambridge really didn’t have a lot of children and up here, in Peabody, we have the children's program is doing really well. So I had to find ways in order to engage children and one of the strategies I decided when I opened the school and this is one of the things I think that separates us from other martial arts school is I decided not to dumb down the techniques that we teach kids and the method in which we teach kids and so I made a decision that I was going to teach everything similar to what we teach adults in terms of the techniques. Now teaching classes are a little bit different in terms of the design of the classes because we want to make it--kids want to have fun so we do things that are fun that I wouldn’t maybe do with adults. So you make it fun and interesting and sometimes you're goofy, sometimes you're serious and you going to cut on when to be one or the other. And adults are very serious, you will teach me, learn. And with kids you can teach them something, you teach this 5 year old green belt kid how to do a particular technique and you tell him, okay now I want you to work on that for the next 5-10 minutes in front of the mirror. As soon as you turn your back and they're running down the end of the Dojang and they come flying by you doing a flying side kick something totally different than you ask them to do and then they're off on their own. So that's different but they still need to in order to progress to their ranks, they still have to perform techniques the same as we expect the adults to do. MICHAEL O’MALLEY: Yeah well you know there's the physical component and it does require more effort with children. You do get the special kids would come in who are like five but going on like 12 or 12 going on like 18 but kids are kids. But there are ways of pushing their buttons to get them to perform and the expectation is there for them to elevate the way they think and for them to elevate their skills to a certain standard that we expect for all ranks. FEI WU: I think one of the areas that you mentioned and I've witnessed and parents have witnessed and really benefited a ton from is that you have this part, you have a very personal approach and you spend time having these heartfelt conversations with these children because in this day and age unfortunately we raised children, a generation of children who are extremely sensitive to failure meaning if they watch a Bruce lee movie then they cannot immediately perform something in that movie then they start crying. They start to breakdown. I've seen those scenarios before. But somehow you're able to turn them around and these kids are very young and I'm sure the conversations are not easy to have. So why do you that and how do you that exactly? And I know parents really appreciate this effort but it's a lot to ask on your end. MICHAEL O’MALLEY: Well as part of the self-reinvention I realized how much I actually enjoy teaching young people. so I've said I spend most of my life training lead athletes and adults who are focused and motivated in their own life and we are talking about well people like you for example but also you had professors and famous surgeons and these people they show up and you show them what to do and they're always focused and they'll do it. But I take an affection with these kids and I can kind of put myself in their shoes and the first thing that I want to do is try to change the way they feel inside in terms of being confident and so how do we reach them to do that? And of course the techniques itself and the success of moving from one rank to the next lends itself to one becoming more confident whether an adult or a child. But I learn that you really needed to do more than that because I lot of schools pay lip service to this where they say they're training kids to be confident but how do they actually do it? The kids come in and they kick and punch and they go through the movements, okay. So maybe there are some kids who are just naturally confident and they move at their ranks and they become pretty good but what about these other kids? Not everybody is confident and so I wanted to try to reach out to them on the subconscious level as well so we talk about feeling powerful and we acted out in class by first introducing themselves, looking at somebody in the eye you know the warmth and the firmness of their handshake. How do the face somebody; shoulders expanded; chin up. How they walk; we actually practice walking in the school and kids kind of--we have fun with it and some kids joke around and so forth and it kind of breaks down and gets to be pretty funny sometimes. But there's a purpose behind it. I want them to feel powerful even if--and show power on the outside, their self-image. You know bullying is a huge problem these days. MICHAEL O’MALLEY: I don’t think it's much different than when I was growing up just in the old days if somebody bothered me in school, I'd punch them in the face and my brothers would join in. But kids are not taught to be aggressive like this and we don’t teach kids to be aggressive but we also teach them that they have a right to be left alone. They have--No one should put their hands on them. And newspapers are filled of stories of teachers getting beaten and even killed up here in Danvers. A young girl in their 20s was killed in Danvers and it really hits home because if these kids can learn how to project this power and confidence from the outside, the chances are decreased dramatically that somebody's going to bother them. FEI WU: Yeah. I think it's very true during our self-defense programs and seminars and you had mentioned that these predators will look for cues on the street and they typically look for people who appear to be less confident or very distracted on their phones and I think even as an adult woman myself working in downtown that's something because of taekwondo I remind myself everyday when I leave work, when I go to work I'm very conscious of it. MICHAEL O’MALLEY: That's good to hear. That’s part of the self-defense strategies that we teach, specific strategies. Just a quick story. There was a study done by some social group done to the prison system throughout the US and they had questions to guys who are in prison for robberies and assaults and they wanted to find out how they actually chose their victims. To make a long story short, what ended up happening is they found out that a huge majority of people picked their victims based on how they walked, by how they walked. So you walk down the street and you can just imagine the head is down, you're not paying attention, you're distracted, you got things in your hands things that they probably want, iPhones and all these versu-s somebody who's walking down the street that looks confident and instead of choosing that confident person, they would choose the unconfident looking person. That's pretty eye opening because when I teach these children these are one of the things that we really stress is their body image. What does your image give off? What does it tell others about you? So we work on what we call power poses. I actually asked them so stand up and show me a pose that depicts power and confidence. And you know you get all kinds--some of it's pretty funny if some kid put two of his hands on top of his head while standing there and then the other kid he's in a fighting stance which is not what we want them to do. We just want them to be in a neutral posture but they get pretty creative and imaginative. But the whole point is your body language and what does it say about you. So we work on these power poses and taekwondo has a system like most martial arts. The simple movements done in front of a mirror are actually power poses where we're thinking about it or not but it takes more meaning especially for children. So we work on that even if you're not feeling powerful inside you know if we have to make a small speech in front of small group of kids, you could be nervous as heck inside but you project outside that you have power, you know? That you look confident. FEI WU: I think in addition to teaching kids to be very powerful and one of the observations I had is you also respect their individuality, not every kid is the same. Physically, they're build differently. You know some kids are naturally very athletic some of the other ones not as much but you've taken each one of them in and really teach them equally and really create a system, tailor a program to their individual needs. MICHAEL O’MALLEY: Yeah. Well you know this has always been a teaching philosophy anyways no matter who it was, what age they were. We're not turning out assembly line robots. So you do as a teacher, I believe any teacher basically probably thinks the same way I do that you have to look at the individual themselves and look at their strengths and weaknesses and find out what makes them tick, what motivates them. So I try to give all the kids as much personal time as I can. But as the school grows, it becomes a little bit harder in the individual basis which is why we have other instructors that are trained do to that too. FEI WU: Yes. Speaking of other instructors one of the very unique opportunity you brought to the North Shore community is your connection through some of the world famous musicians, artists, athletes of course and you’ve introduced them, you've imbedded them in your school. If I were to name a few of those, Ralph Peterson, Jr. who's an instructor and a jazz musician and some of your US Team friends as well and also someone like my mom who's an artist. And we all play a very significant part of the school and I think in turn the children are exposed to different skills, different cultures, different ethnicities perhaps. You know not every family here is connected to a family of a different culture but I think you really build a learning experience, a very unique learning experience for them. MICHAEL O’MALLEY: Yeah. Well again that goes again with the reinvention with myself but also the way I think about a school should be within a community. I believe a school should teach so much more than just how to kick and punch. 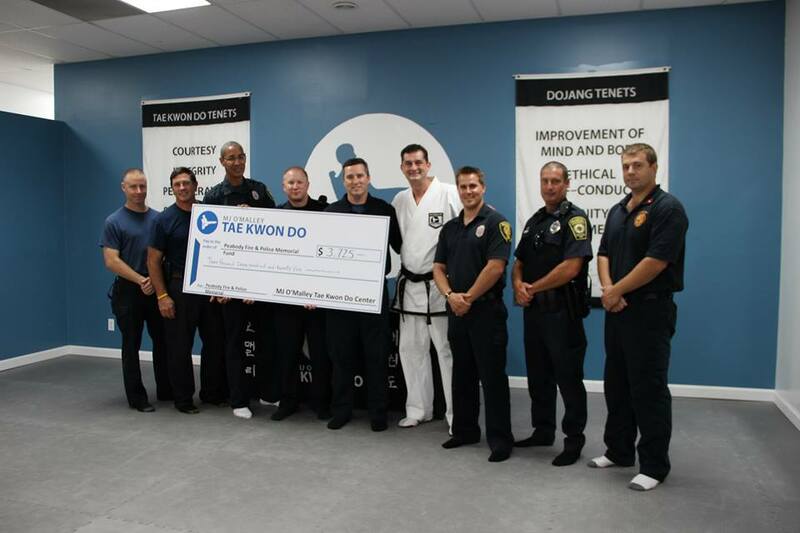 There's so much more that we could do as instructors and as martial arts schools not just Taekwondo schools that would benefit the community as a whole. I mean majority of students within a school come within the 1 mile to 1.5 So it's within that basic framework that you try to create a community and one of the things that of course you and Ralph and Adam and Ivan and the others had open up to the school. They have known me for a long time. You bring a very special element to these people's lives and you're right it's a chance for them to maybe experience things that they haven’t before. I mean in their normal public schools there's very little in the way of music. There's very little in the way of developing as an individual you kind of expected to be that way. For example like sport teams at schools whether it's team or an individual sport when you participate in these sports you're expected to focused. You're expected to be a leader. You're expected to have confidence, right? FEI WU: And teaching Mandarin. MICHAEL O’MALLEY: Yeah, Chinese language. I was getting to it, Chinese language. You just have a unique way of relating to the members. And we expand the way that they think. Expand the way of thinking of Chinese language and Chinese culture. They get to see these beautiful works of art that Tracy has provided that your mom has developed for our school and has taught the kids. And this will last for the rest of their lives and I'm sure it makes an impact on most of the kids and so it's one way for the school to be a center of learning, center of culture and a center of community. FEI WU: So I think because of that behavior they influence other kids as well. When we think about with the little kids look at me as an adult woman saying okay you do that's less relatable versus another 5 another 6 year old doing this then I started to question some of the behaviors at home and we talked about bullying. And also at the school even when bullying is not involved, school can be a tough place to be and I hear some of the conversations when the kids come to our school of the challenges they've had, the things the kids would say to each other and those are forbidden words at your school. The kids know that they're not allowed to make fun of one another. They have to respect each other. They have to help each other. Today when I walked into the school, it's teamwork and collaboration. We talked about individuality but also teamwork that you are helping kids, you're teaching kids to teach Taekwondo to each other. The better they teach, the better they learn. I know that at the beginning they really struggle, okay do this, don’t do that, and imagine a 7 or 8 year old how to teach the Taekwondo they know. I think that's really incredible and I can see them improve on a daily basis even without their parents being observing every second of it but they're different people, you know? FEI WU: You're raising good citizens in other words and that's what we need for our community. So before closing, I don’t want people to leave these podcast with pre or misconceptions of whether taekwondo is for them or not and a few very common questions I think it's better for you to address. For children, some of the parents approach me and ask my kids are not very athletic or coordinated. They haven’t really done very well in school sports. What's your advice? MICHAEL O’MALLEY: Well when they come to the school you find that a large percentage of kids are not the types of kids that would fit in to group sports whether they're just mentally not ready, physically they're maybe not capable of a particular sport. But when they come to the school, you find that it's those kids that really tend to do really well. Because at Taekwondo, you learn at your pace. You're not competing with anyone else. You're competing with yourself and I think that's a huge part of it. I think the competition aspect frightens kids and some kids just are not ready to deal with it whereas when they come and do martial arts what's expected is that you are to stay and to do your best and if you don’t do great today, you'll do better tomorrow and of course you know that we have ways of goal setting for them so they can move up their ranks and then their confidence increases and their ability increases and then maybe one day they might see themselves as seeing the possibility of even becoming a black belt and beyond. MICHAEL O’MALLEY: So in the first step to doing any of that is just to come by to school or a school if you happen not to be close to where I am and you can't really make it is to go and watch a class or two and of course meet and talk to the instructors. I think once you watch within five minutes either strike you the right way or it won't. But I always felt like the biggest thing is don’t look for the place that's closest to you. I realize convenience is important but something like this which can deeply affect a person's is not to be taken lightly. It like you know if your child said to you, mom I want to quit the 5th grade. You would sit down and talk to them about why school is important and education is important. So when it come to martial arts, it's just as important to find a place that you can commit yourself to with you the parent realizing that this is something that would be important for their life, you know? And so you don’t want to just give up on it. It shouldn’t be a novelty and you would want them to stay with it. It's just like a child learning how to swim. I mean in most cases I don’t know many parents that won't make sure that their child knows how to swim because the inherent dangers of being in the water and on land, you want to make sure that the kids because of the inherent dangers that are out there as well give them a practical sense of being able to defend themselves and then make them strong, powerful confident kids and young adults and eventually adults. FEI WU: Yeah. This is a great answer. Two more common questions. The second one is whether for kids or adults, some people started taekwondo or another form or martial art I guess that's a little more complex. 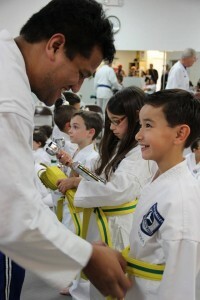 They've earned a green or blue belts and they really would like to start again perhaps as inspired by this podcast, knowing who you are, how should they consider about kind of picking it up? MICHAEL O’MALLEY: Well we start off are new member whether you've had training or not, it doesn’t matter what you've done we start you with private lessons so you don’t join classes right at the start and that gives us a chance to assess if you practiced before and what you're abilities are and what you've practiced. You know there maybe some relearning of particular movements. But quite frankly when you join a school you're coming in as a student and your job is to learn. So whether you have to relearn something or learn something fresh nonetheless you come in as a student and that's what your parameters are. So as long as you're willing to the learning and again you got a positive frame of mind, we're going to teach you the best we know how and you take from that and learn and become good. FEI WU: Yeah, exactly. So last question and thanks for spending the time. I know it's been along interview so far. The last question is often times with adults and as an adult I hopefully I represent a group of people and hopefully encourage them to join in. But I do get questioned a lot you know adults in their 30s, 40s, 50s saying is it too late for me to start and would I feel awkward as an adult practicing with younger children in a class which I love by the way. I love practicing with teenager and even little kids in the class for diversity. So what is--how do we address that? MICHAEL O’MALLEY: Well first of all there is a myriad of classes that are specifically for adults only and then we offer family classes where the moms, and dads, and adults if they chose to come in can practice. Sometimes I'll have the parents practicing with their kids which is our point of family classes to just practicing adults and kids because sometimes you need to arrange people by height, weight and experience and all that stuff. So that's all done--that's all inherent within the classes itself. But I would say that learning never stops. The only time it stops is when we die. So it doesn’t matter whether you're 90 years old or 18 year old hockey player. You have the ability to learn and if you have interest in this, we will teach you what you need to know and you can learn at your pace and have fun and make friends and do something to enrich your life. you'll develop if you're interested in learning self-defense we'll work on the self-protection skills and strategy so you kind of walk around. If you're a nurse leaving the hospital at 1 a.m. and walking out to the parking lot and you feel a little bit intimidated or frightened and sometimes you have a right to be. we can alleviate some of that by giving you the proper strategies and training you. it doesn’t take a long time to learn it. it just takes some efforts as long as you don’t mind sweating. It's a great workout. In some ways you know with adults it's almost like rediscovering your legs again you know the flexibility and all the kicking. I found that with women leg strength is very similar to men where upper body strength might be a little bit different. MICHAEL O’MALLEY: So through Taekwondo we work on developing these powerful kicking techniques and you'll work on hitting the punching bags and pads so you can see the results of what we teach you and on top of that you'll make and meet some very interesting people like you and Ralph and me and others. FEI WU: Indeed and I realize they're still my--all the best friends I have in my life are from taekwondo. Thank you so much for the interview. MICHAEL O’MALLEY: It was my pleasure. FEI WU: To listen to more episodes of the feisworld podcast, please subscribe on iTunes or visit Feisworld.com where you can find show notes, links, other tools and resources. You can also follow me on Twitter @feisworld. Until next time. Thanks for listening.